Deik may not be the most recognizable vacuum brand. They haven’t been around as long as other brands, nor have they produced as many vacuums as other brands. However, while they don’t have the status of other, more recognizable brands, Deik has produced many great vacuums. One of their best vacuums is the Deik Cordless 2 in 1 Vacuum Cleaner. It’s a simple cordless stick vacuum that can turn into a handheld vacuum, with the click of just one button. Today, we’re looking at the Deik stick vacuum and the myriad of excellent features that it can give you. We’ll also be looking at some of the things that this vacuum truly excels at. Stick vacuums are known for being versatile. Especially into their counterpart, the upright vacuum. Upright vacuums are large, bulky, and incredibly powerful. They are also very, very popular and commonplace. Because of this, they are very inexpensive, and most people own an upright vacuum if they own a vacuum at all. However, upright vacuums aren’t always the best when it comes to vacuuming tight and difficult spaces. They aren’t meant for that at all. The experience of trying to maneuver a massive machine in between a bed that is almost pushed up against the wall is not a pleasant one. With a stick vacuum, this problem is significantly reduced. And this is true of the Deik Cordless Vacuum. Weighing just 5,5 pounds, you can easily carry the vacuum with just one hand, grasping the handle. 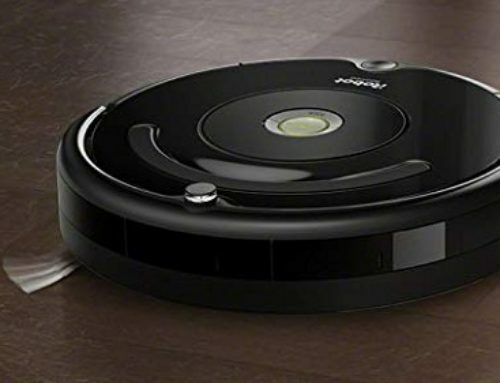 Due to its thin frame, moving it around within a tight space is also very easy as is lifting it up to vacuum up dust or dirt that is on the walls. Versatility is incredibly important in a stick vacuum, and Deik has delivered a stick vacuum that more than lives up to that. Now, this is a very similar category, but it must be said that you can clean a wide variety of floors with this vacuum. And this is because the vacuum was built with this flexibility and this freedom in mind. If you want to clean your couch or upholstery, it’s easy to do that by pressing a button and turning the vacuum into a handheld vacuum. Same goes for if you want to reach underneath furniture. With different suction speed modes at your fingertips, as well, you can have a lot of flexibility when it comes to what floor types you clean, and how you clean them. Most stick vacuums aren’t known for their power. This is simply a fact because most stick vacuums are small devices that don’t have the room or space to store big, powerful components. 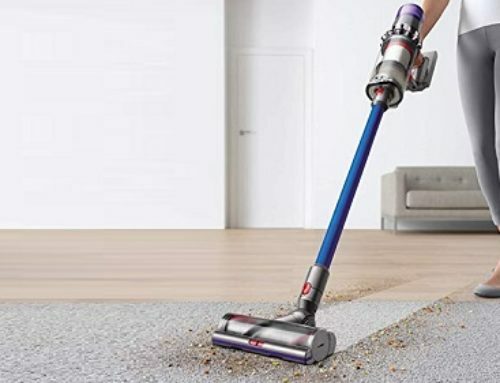 While the Deik Cordless Vacuum won’t exactly rewrite that particular idea, it is fair to say that this is an undeniably powerful vacuum. Powered using 6Kpa of suction, mixed with the already versatile and flexible design, cleaning is very much an easy process. It is thorough and intensive, while also being very quiet and inconspicuous. Part of the reason that this is so notable is not only just because stick vacuums aren’t exactly known for their power, but also because of the aforementioned flexibility. Most stick vacuums are only built for one type of flooring. This one is built for hard flooring, as well as floor types like carpeting. This makes it especially powerful. And all you need to do to activate these features is to simply press a button! 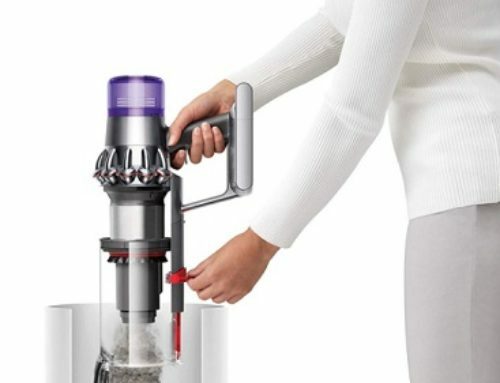 With all of this versatility, flexibility, and power, it would be a shame if this vacuum was difficult to use. Fortunately, it’s not a difficult stick vacuum to use at all. With the press of a button, you can turn the vacuum on. With the press of another button – or two, depending on what you need – you can change the speed of the vacuum. Now, when you’re done vacuuming, you’ll probably want to get rid of all of the dust, dirt, and debris. Removing the dirt canister is also done with the simple press of a button. Then, you can simply take that dirt canister and release its contents into the waste bin. Nothing is made to be more complex or difficult with the Deik Cordless Vacuum. Instead, this is a simple vacuum.